Gothic Fiction: Dark Saga Collecor's Edition is a newly released puzzle adventure game. The game is full of everything you may think of when you think of a great game of this genre. 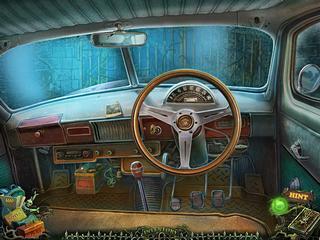 Well, maybe the fans of pure hidden object levels will be an exception due to the absense of those levels. The fans of adventures will be pleased to the fullest though. The whole experience is just beautiful with the crisp cuscenes and real actors in some of the scenes and very well done voice overs. The game begins as you meet a mother and a daughter who are just about to explore a new school in the rural England in a town they just moved to. And as you would expect from a game of this genre when you see a child in the story, the girl gets in trouble. And the problem is of a mystical supernatural nature as you would expect, too. An evil witch is working hard to complete her terrible plan by kidnapping children. Hannah's soul is the last one needed for this enterprise of the witch. So you get the idea of the task ste before you. The scarry story is presented with the beautifully drawn graphics of an abandoned school with the savage plants and other things to create the creepy atmosphere. The whole experience is just beautiful with the crisp cuscenes and real actors in some of the scenes and very well done voice overs. 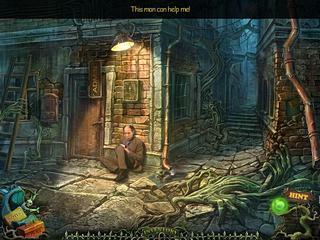 The game offers three levels of difficulty. And the main outstanding feature is that there is no hidden object levels as you would expect from the game of such kind. Most of the time is spent on wandering around trying to find and use as many tools and inventory as you can. It is sometimes not very obvious what to do next and the hint button is not really helpful. But it might be something to make the game even more challenging and entertaining for the more experienced players. The game is really worth your attention if you are one of the people who like this genre. You will anjoy it even without the hidden object levels. hey can some 1 help me like i know were the place is but in that place is there a guy hiden and 2 get the clothes do u need 2 find him or does thye menue open up wenen u enter plaeze some 1 help me plaz wite back 2 me. from,moonshadowps thanxs if u responed and help me find out. This is Gothic Fiction: Dark Saga Collector's Edition review. Download this game here.